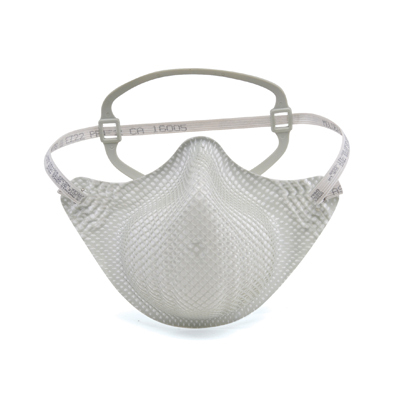 The first and only NIOSH N95 approved single cloth strap respirator gives you a quick fit. The one strap with Flexwing® and head harness provides an easier and more comfortable fit than two straps. The cloth strap is cool and comfortable against the skin. Hot and humid environments such as welding, soldering and brazing, grinding, sanding, sweeping, bagging, stone quarrying, metal machining, cement, underground mining, polishing, buffing, lime, poultry and textiles. No oils present. 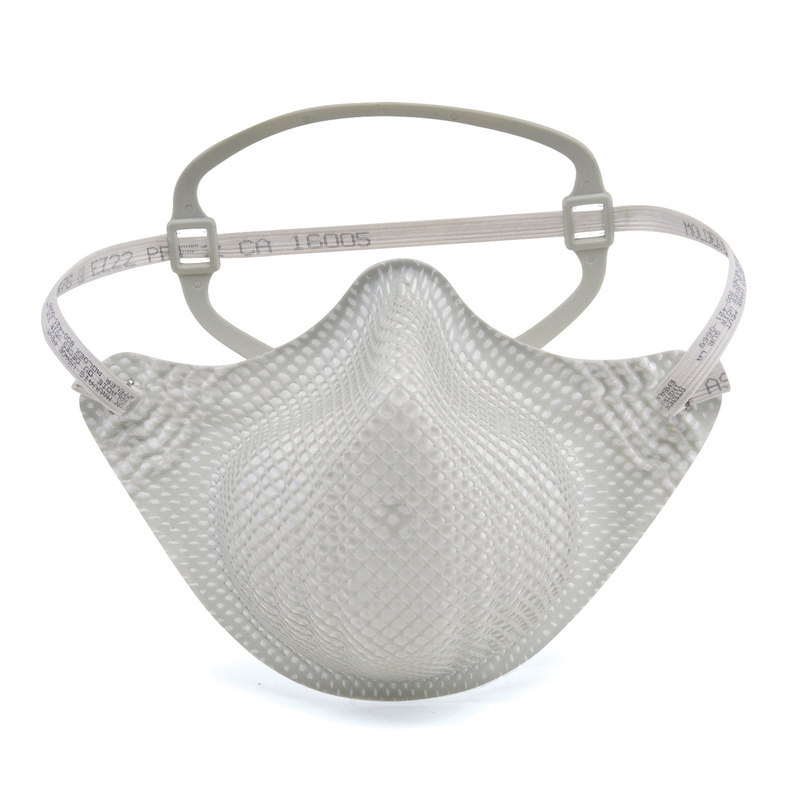 Note: For areas with oils present, you must use an R or P respirator. Call our Technical Support Department for more details.